Assistant Commissioner for Samoa Prisons and Correction Service, Ulugia Niuia Aumua, agrees their Correction Officers are “unfit”. He made the comment during a press conference held at Tafaigata yesterday. 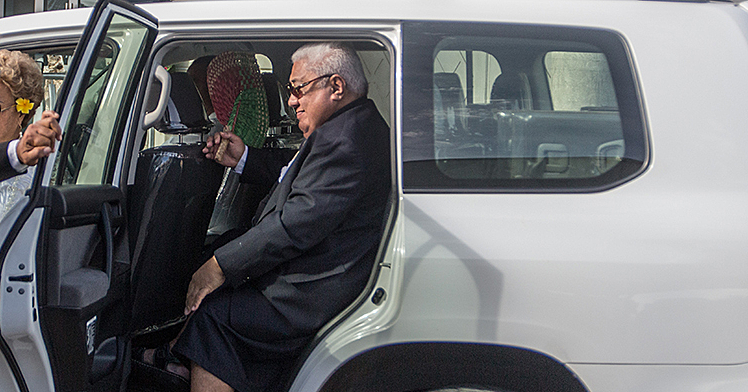 Last week, Prime Minister Tuilaepa Sa’ilele Malielegaoi labeled the Correction Officers as sumo wrestlers, noting they are unfit and the poor management of the Tafaigata prison is the reason the prisoners continue to escape. “What the Prime Minister said about the lack of fitness of some prison officers is right." “Even his comment about the poor management, I know he wouldn’t just be saying that without facts and that is what we told our Minister, so he had informed the Prime minister about the situation and that’s what happened." “We don’t need to point fingers, but as you know, there are other ministries who hire unfit workers, so it’s not just us." “But I agree with him about the fitness of our prison officers and we have got something planned out for our officers to help with their fitness." Ulugia also admitted that the Tafaigata prison is also a cause of prisoner escaping. “We took the blame for what happened when the inmates escaped,” Ulugia explained. He added: “So we can’t hide from it and all we can do is to try and bring some understanding in the situation that we are in." Last week, during the P.M’s media conference, Tuilaepa slammed the “poor management” of the Tafa’igata prison as one of the reasons prisoners keep escaping. He described prison guards as unfit, saying they need to get in shape so they can catch the prisoners. On Wednesday last week, Lagalaga Misiluki became the latest prisoner to escape. He was recaptured on Wednesday evening while Uili Manuleleua, who escaped before Christmas last year, is still on the run and his whereabouts is still unknown. Tuilaepa said the information relayed to him was that Lagalaga was one of the cooks. “There were four Correction officers present when the prisoner walked past them and escaped from jail,” he said. “I have advised the Commissioner to put the Correction Officer through some exercise or physical activities." “They should be dropped off in Apia at 7a.m. and they should run all the way to Tafaigata." “At another time, the Correction Officer, who escorted prisoners in their prison vehicle, had parked at the prison and the inmate opened the door and took off running." “And the correction officer ran after the inmate but was unable to catch him because he looks like a sumo wrestler." 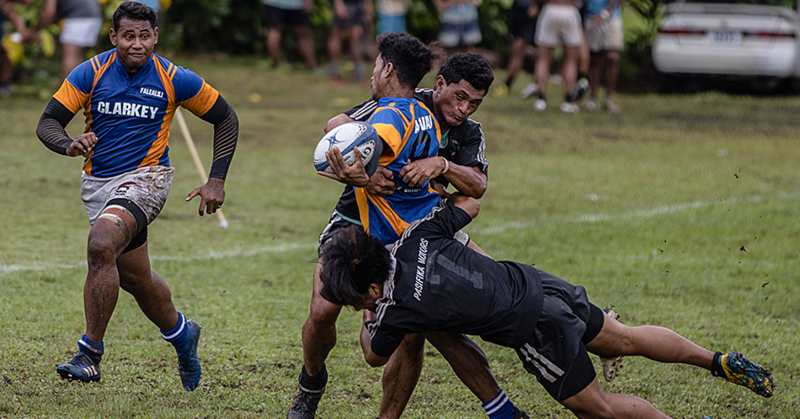 “They should retire,” said Tuilaepa. 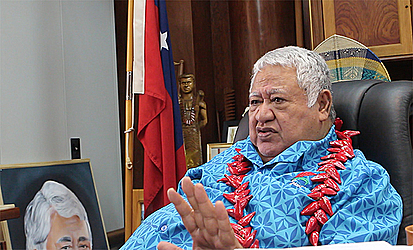 Tuilaepa said he was unhappy that prisoners keep escaping at will. “I am shocked at the Commissioner for hiring them,” he said about the unfit Prison guards. “They should retire because it’s useless for them to work."